A lonely M0MCX operates on 144MHz while everyone else barbecues! Don’t worry, he eats well! VHF Field Day is one of the highlights in the Wythall Radio Club calendar. Not just for the fun and camaraderie we have around taking part in the biggest VHF outdoors contest, but also because of the fun we have socially. Last year’s event was one of the best (if not the very best) Field Days in the memory of most people in the club, from founder members to new recruits. It will be difficult to better but we are keeping our fingers crossed for good weather, which always helps! This Tuesday sees a very important evening at the club, as it is traditionally the evening where we “dot the i’s” and “cross the t’s” in terms of getting our final preparation right for the big day. It’s a good evening to come to especially if you harbour any plans about turning up on the actual day! 2030 in the Club Shack in the cellar at Wythall House, Silver Street, B47 6LZ. Is this the ultimate 80m antenna? Please don’t think that the members of Wythall Radio Club are about to burst into a Mary Poppins song – really, that is something no-one would want to hear! 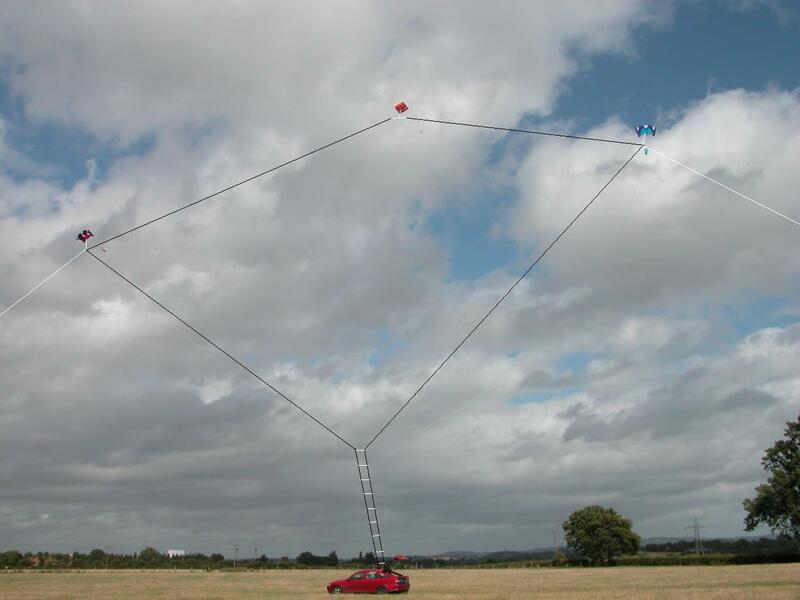 When Radio Amateurs talk kites, we are usually thinking about getting a wire antenna strung into the air! Roger Stafford G4ROJ is perhaps the best known amateur in the UK when it comes to using kites to string up antennas. He is an expert, not just on the antenna side of things, but also in his knowledge of kites themselves. His work has recently been featured on the Amateur TV Channel the TXFactor. Fortunately for us, Roger is this Tuesday’s visitor to Wythall. He is planning to give us a talk and possibly even (weather permitting) a demonstration of using a kite to hoist up an antenna safely. Perhaps you might “breeze” in for a visit? Western Power Distribution’s John M1JSS (left) presents the cheque for GB3WL’s antenna to Chairman Mike G4VPD (right). Project Manager Chris G7DDN & Repeater Keeper Dave G3YXM look on, with GB3WL itself in the foreground. Wythall Radio Club are pleased to announce the arrival of the new antenna for forthcoming repeater GB3WL. Once cleared by Ofcom, the 70cms unit will transmit to a wide audience across the West Midlands thanks to a brand new commercial quality antenna that will soon be installed at the club. The stacked array of 4 folded dipoles has been professionally built exactly to match GB3WL’s frequencies and has been purchased following a generous donation from Western Power Distribution, the electricity distributor for our local area. 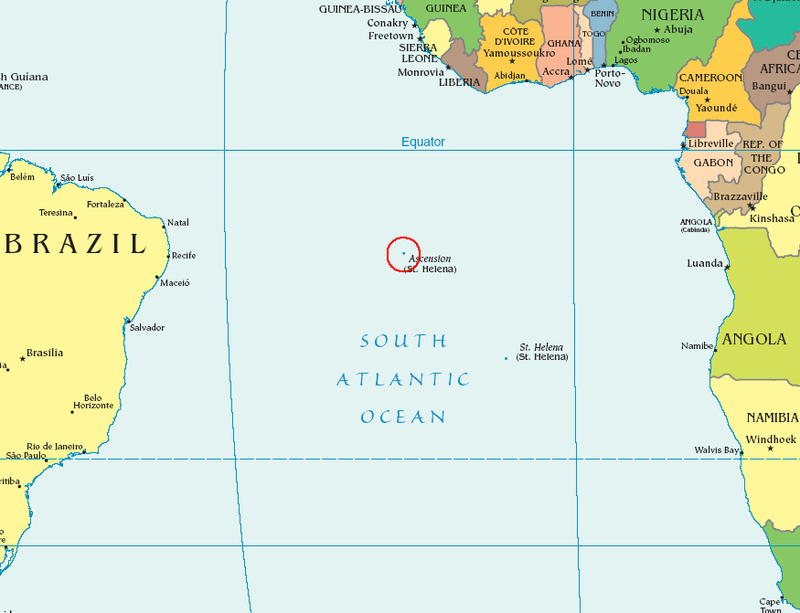 No, the members of Wythall Radio Club are not planning a DXpedition to somewhere exotic – it’s the title of our next club meeting next Tuesday evening! Friend of the Club, Steve White G3ZVW, ZD8N, is visiting us once again – this time to give us an insight into his work and time on Ascension Island. With lots of photos, this is expected to be a fascinating evening. Steve has been working on the island for some time doing research into propagation and amongst other things, deploying radar targets for Japanese satellite radar, but that will not be the main feature of his talk. In his down time, he was able to get on the amateur bands and do some serious DXing and Contesting while in what is, for radio, a fantastic location! He tells us he can’t do justice to his experiences there in 60 minutes, but he will have to try! So come down to Wythall House on Silver Street B47 6LZ for 20:30 this Tuesday 17th June – we meet in the Darts Room and you will be very welcome! It’s finished and ready to go, almost! Wythall Radio Club’s new 70cms repeater GB3WL is getting ever closer. The modified Tait unit’s inner workings have been completed on the test bench of G1YFF in Cambridge and delivered to the club for public show at tomorrow night’s (Tuesday 10th June) Committee Meeting. 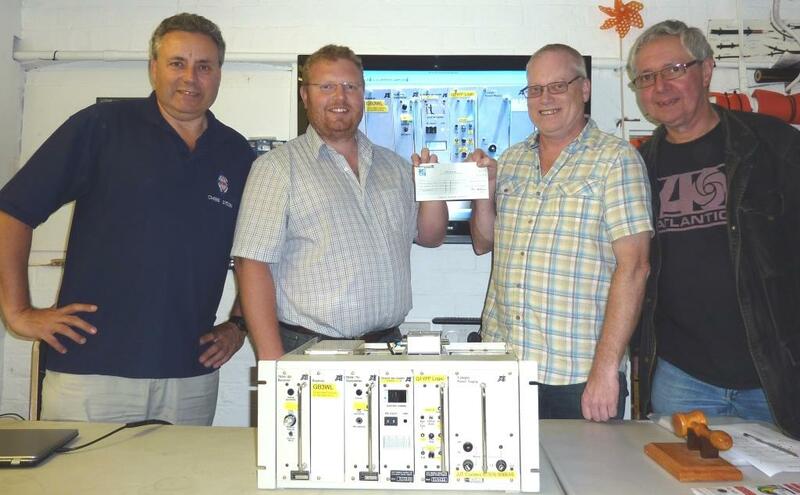 Another recent development has seen Wythall Radio Club gain a community grant towards GB3WL’s antenna system. A spanking brand-new commercial 4 stacked folded dipole array will be in use for GB3WL, courtesy of club member John Smout M1JSS and his employers, our friends at Western Power Distribution. We hope to have more news on this exciting development soon. So while we await the Notice of Variation that allows GB3WL to become “live”, it seems that Wythall members have more than a little antenna rigging work to do! Wythall – Gateway to the World! 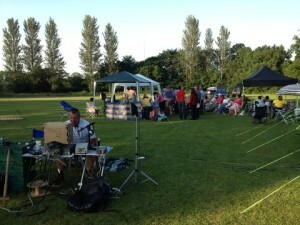 The members of Wythall Radio Club have something to celebrate. 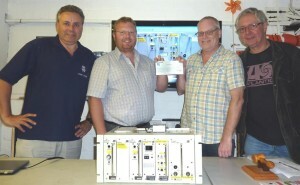 The club is supporting a new Internet Simplex Gateway for Digital Ham Radio. MB6IWL is a D-STAR gateway and it’s situated in Major’s Green, a nearby village. The project has been in the pipeline for a little while now; it was inspired by the number of club members who have been taking advantage of a rather good offer from our friends at Martin Lynch & Sons. He has been discounting the Icom ID-31E handheld transceiver and several members have been relieving him of them! 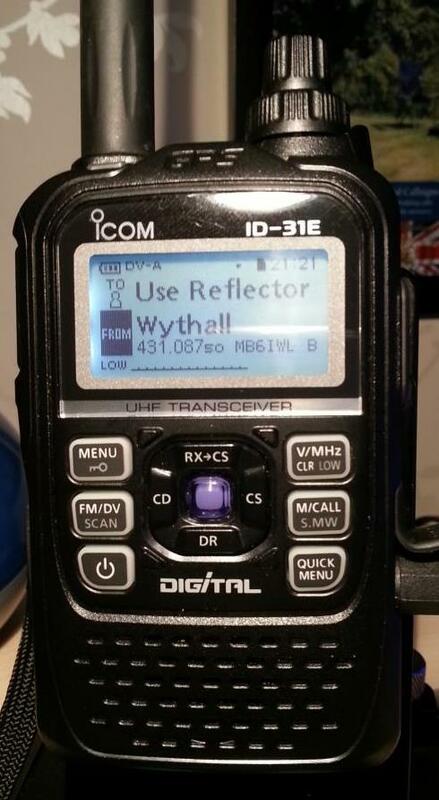 With around 12 Wythallians now on the D-STAR mode, it seemed a good idea to have a way of accessing the D-STAR Internet Reflectors world-wide, and so MB6IWL was born. Clearance from Ofcom was swift and the Gateway is on air daytimes as of now. There is more information about the Gateway here, and though supported by Wythall Radio Club, anyone passing through the area is very welcome to make use of it.